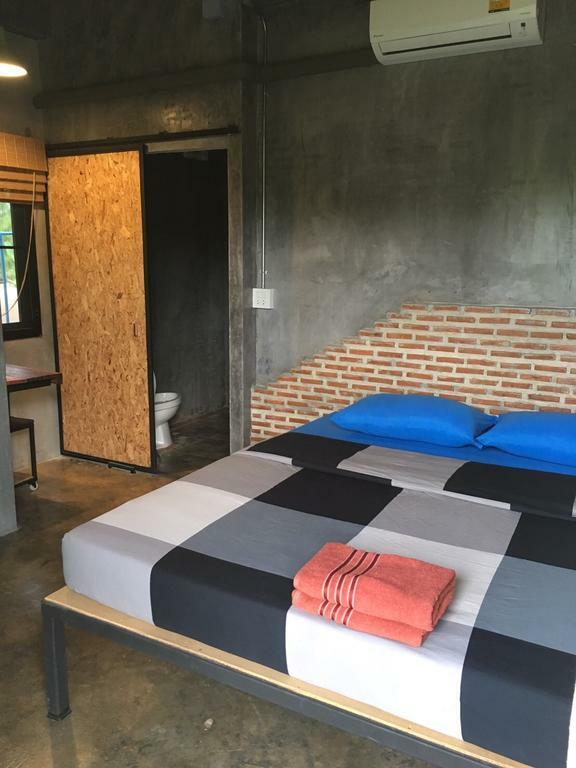 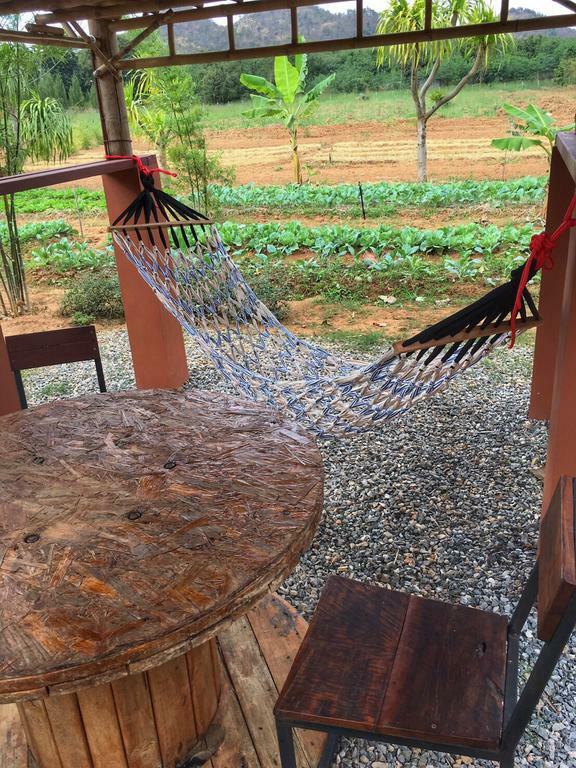 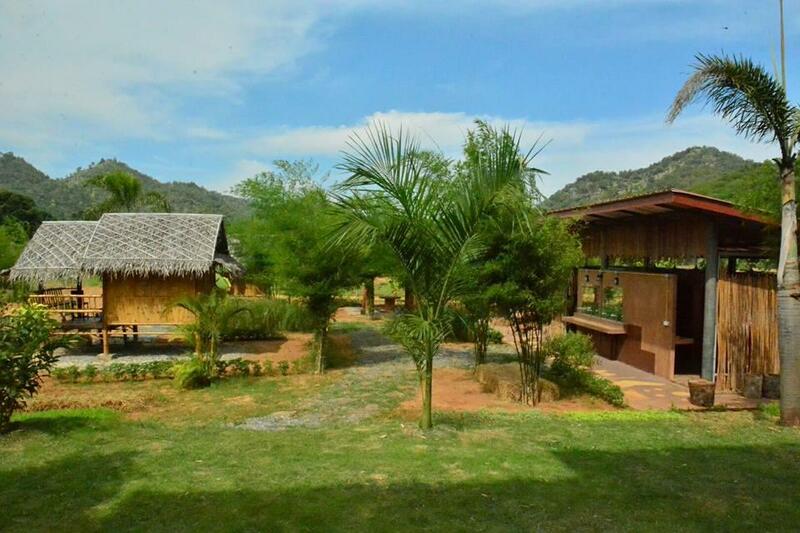 The consistently highly rated Baan Nork Organic Farm Stay is conveniently near to Thailand’s gorgeous Khao Yai National Park and to its capital city, Bangkok. 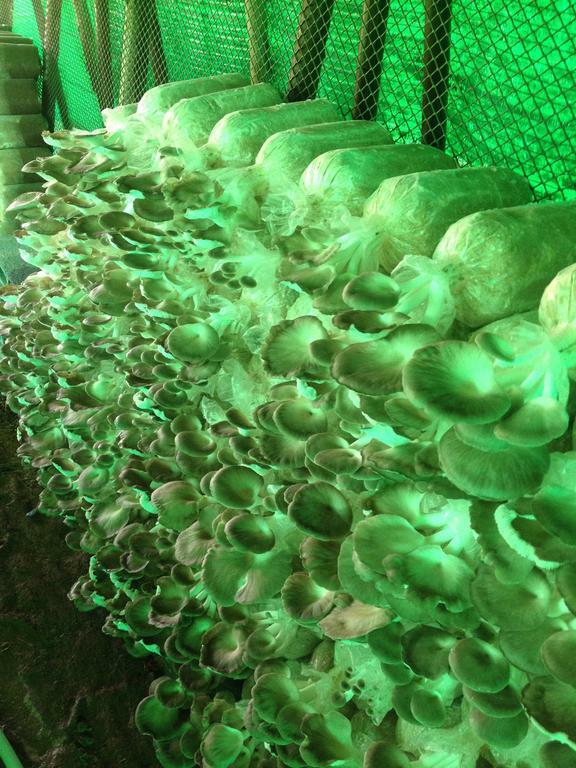 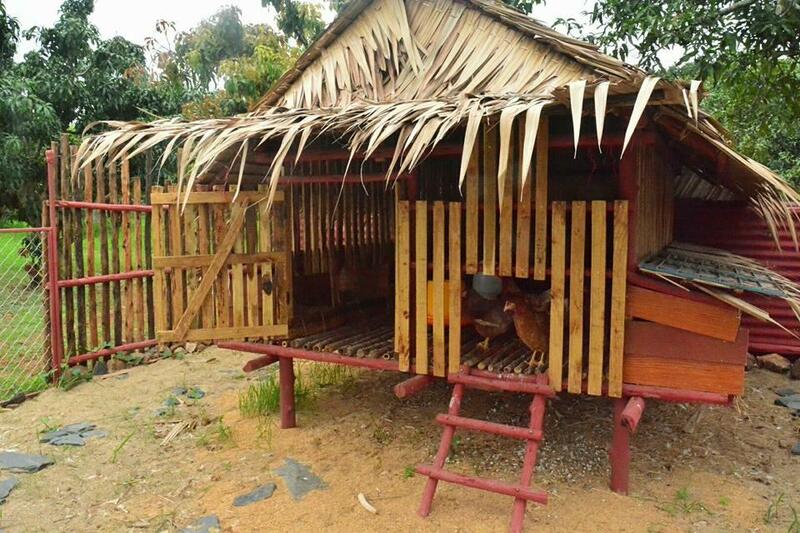 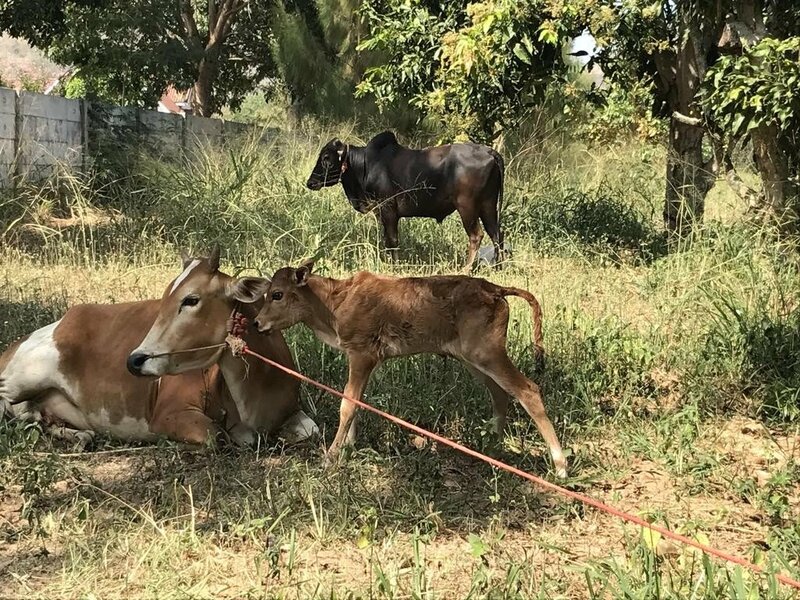 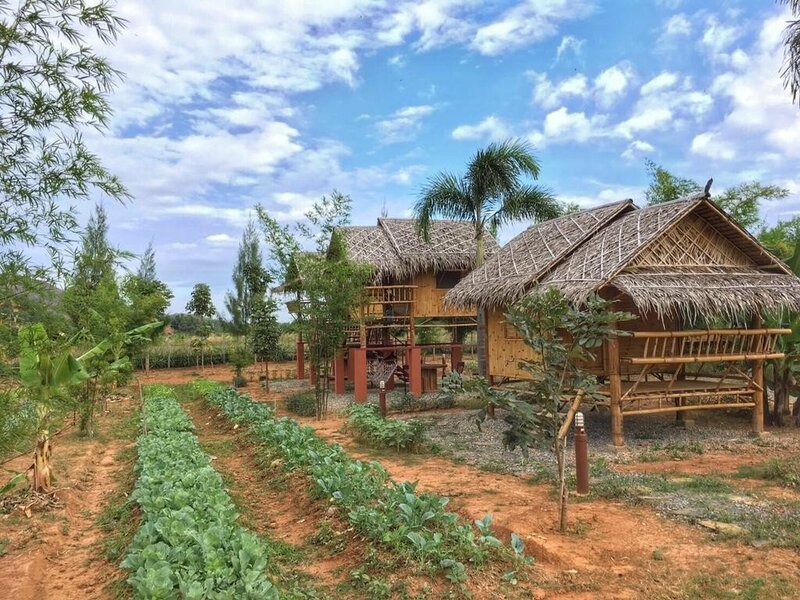 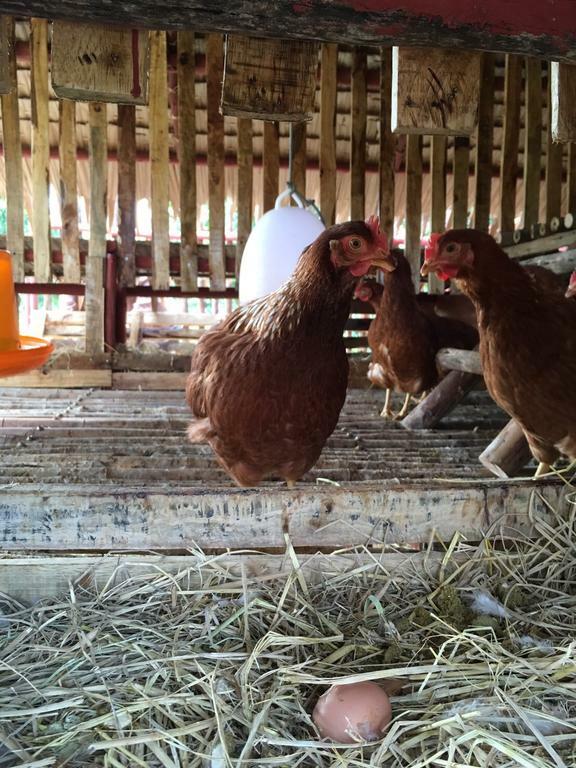 It offers accommodation in cute little cottages and bamboo huts on a working organic farm which has, amongst other things, cattle, hens and a range of exotic fruits and vegetables. 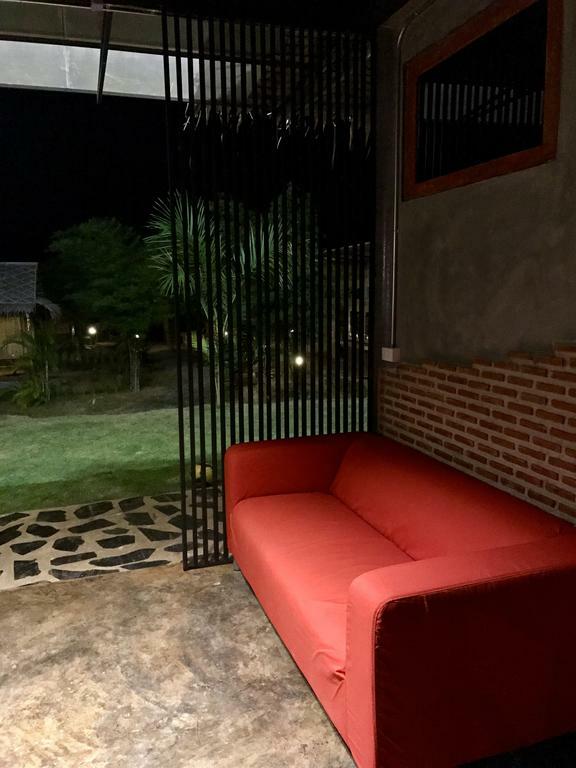 The location is beautifully peaceful and quiet, the accommodation, though basic, is very clean and comfortable and you’ll find the owners, who speak excellent English, welcoming and friendly. 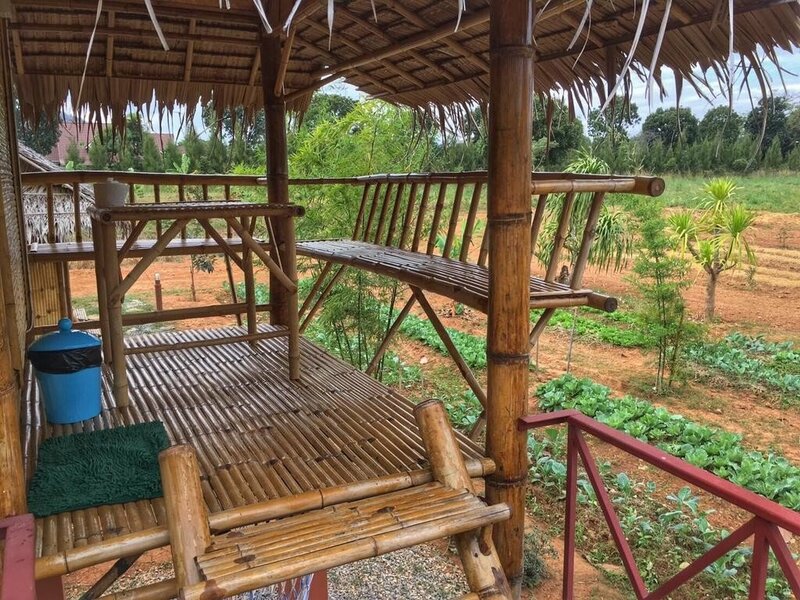 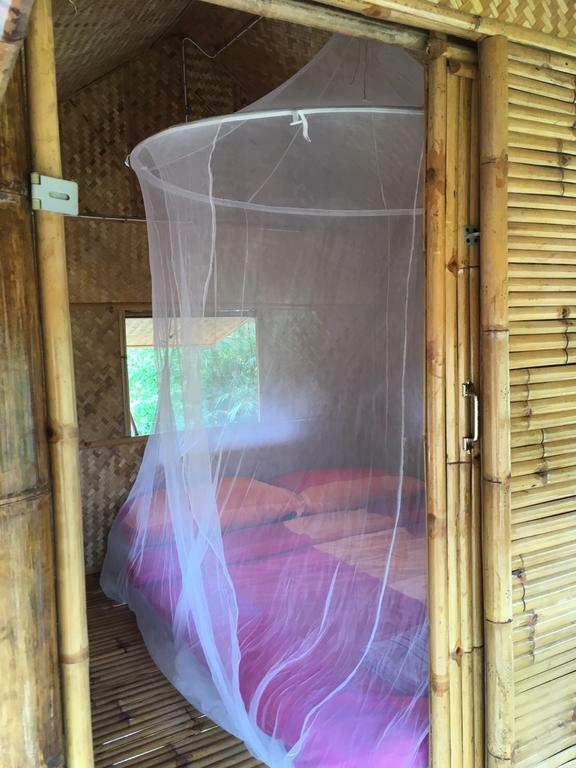 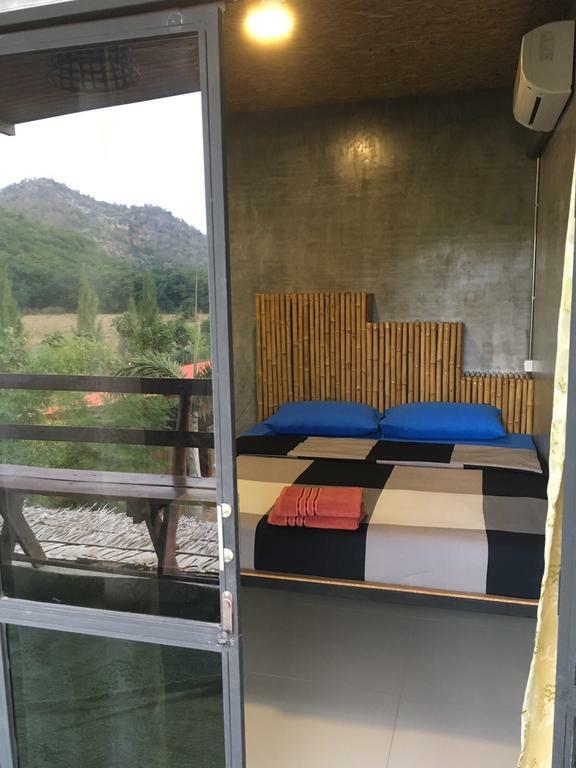 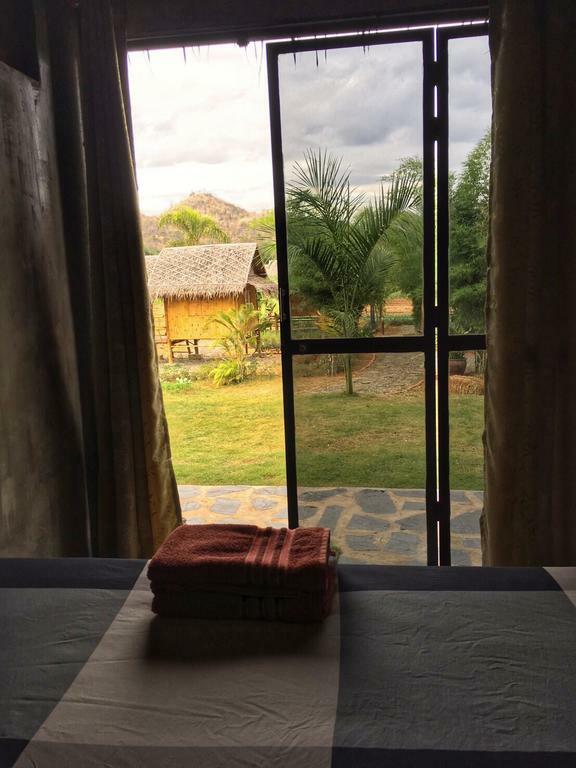 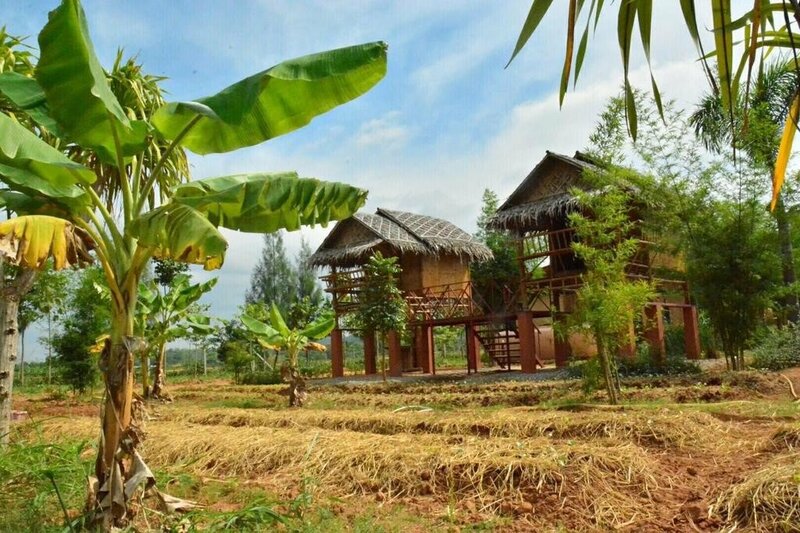 There are three double rooms at the farm stay plus a larger cottage which can sleep up to three people with the help of a sofa bed, a nice little bamboo hut, which is also a double and a little more space and more privacy than the rooms but doesn’t have a private bathroom. 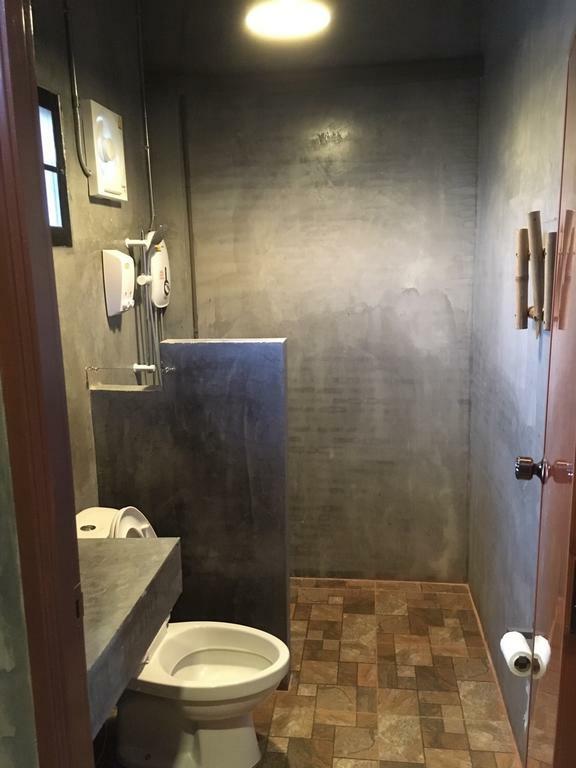 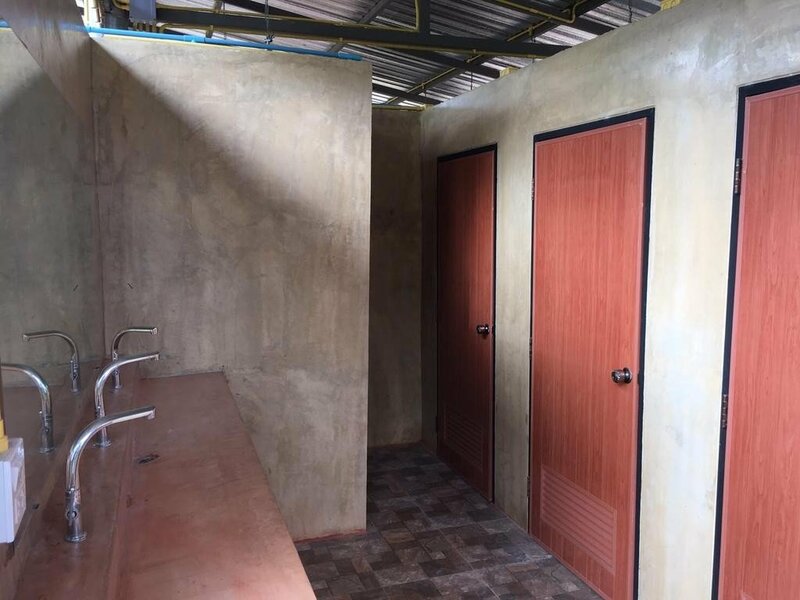 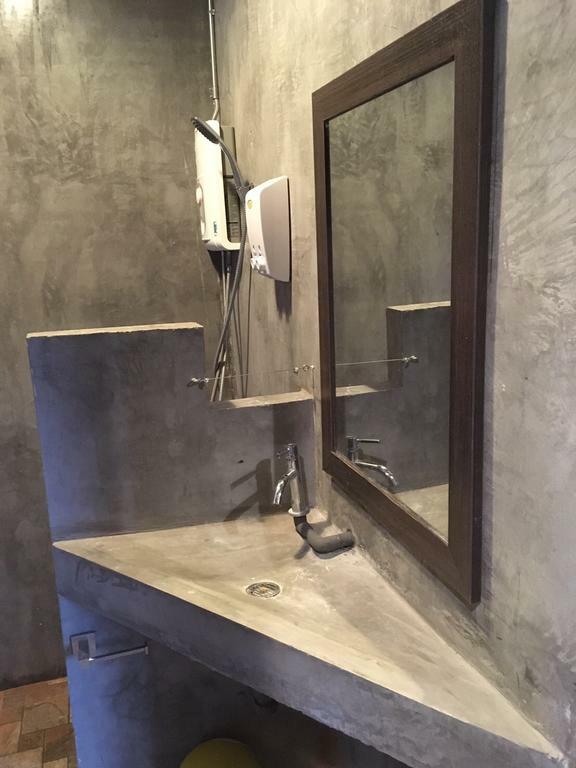 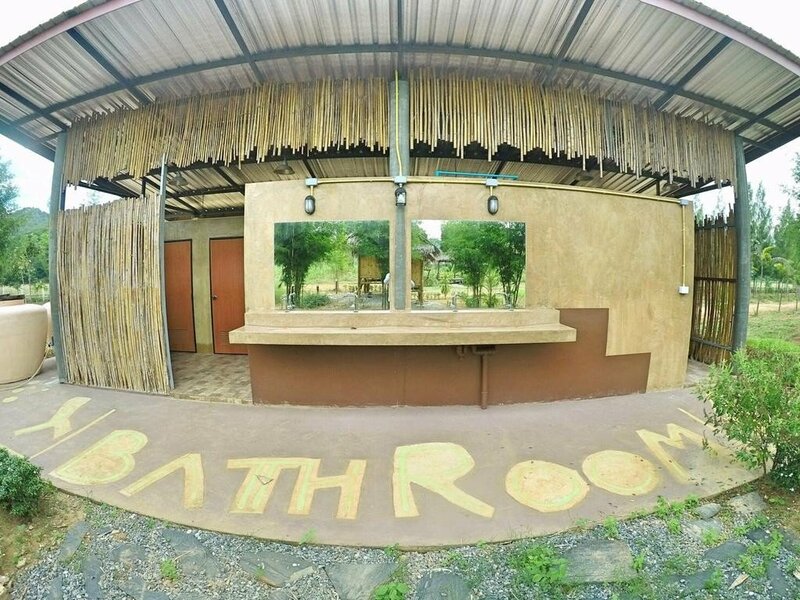 The outside bathrooms are large though, well maintained, clean and well equipped. 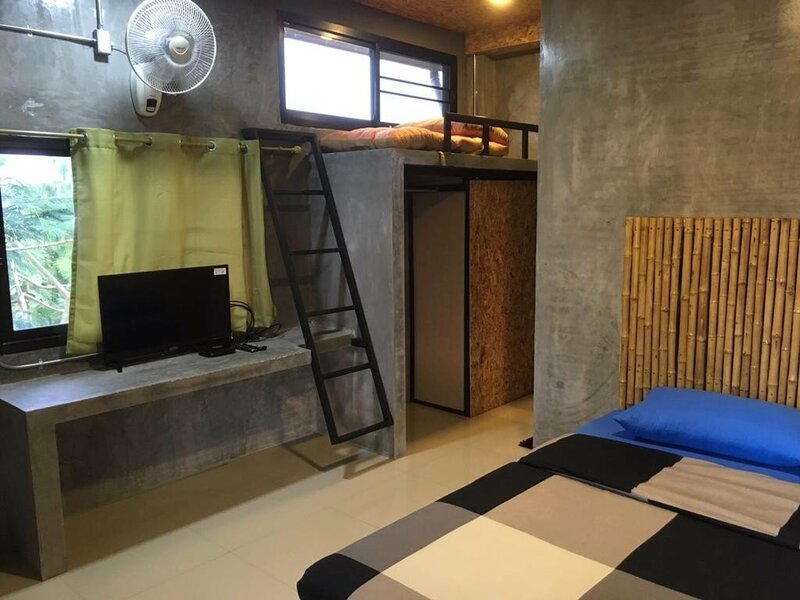 There is no WiFi or TV here, it really is a place to get away from it all, but though it may lack in modern facilities it won’t disappoint in terms of comfort and cleanliness. 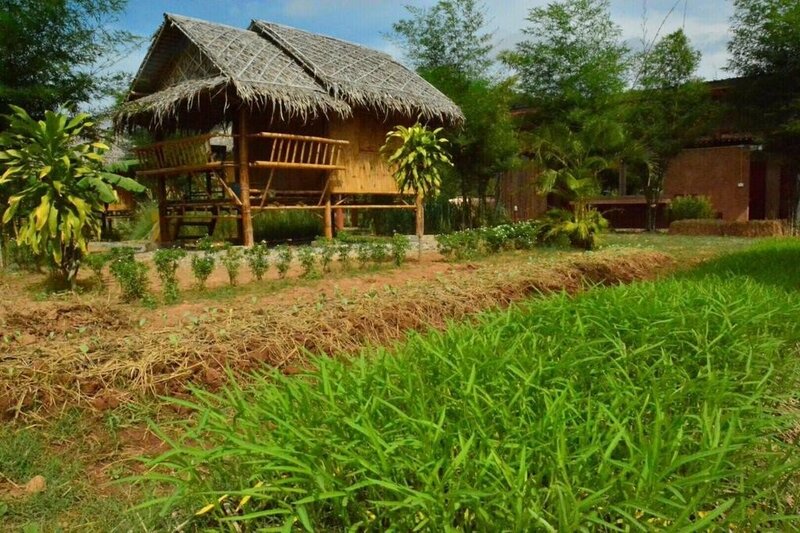 The accommodation is all B&B and their traditional Thai breakfast is great, with most of the ingredients coming fresh, and organic, from the farm itself. 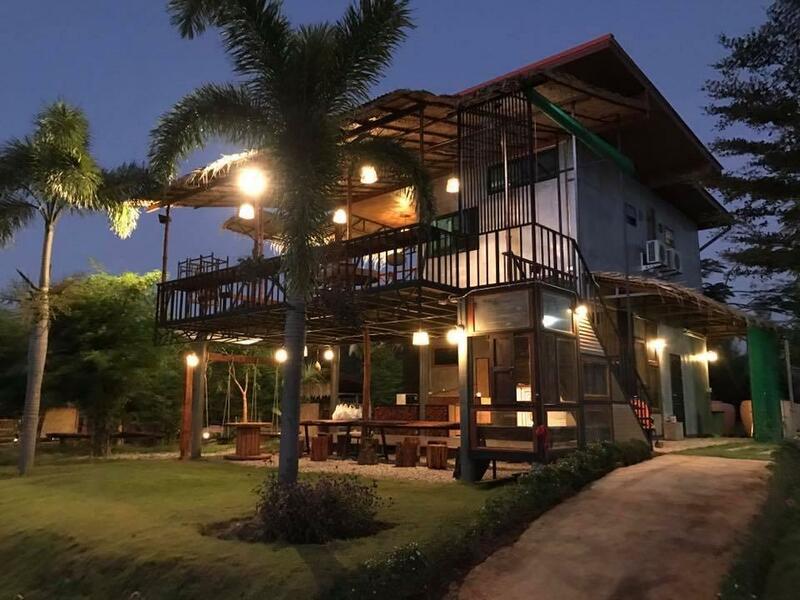 They don’t do evening meals but the town of Pak Chong is just a few kilometers away where you can find some good restaurants and cafes, and the friendly owners can arrange transport if you need, plus they also rent bikes for you to tour the local area with. 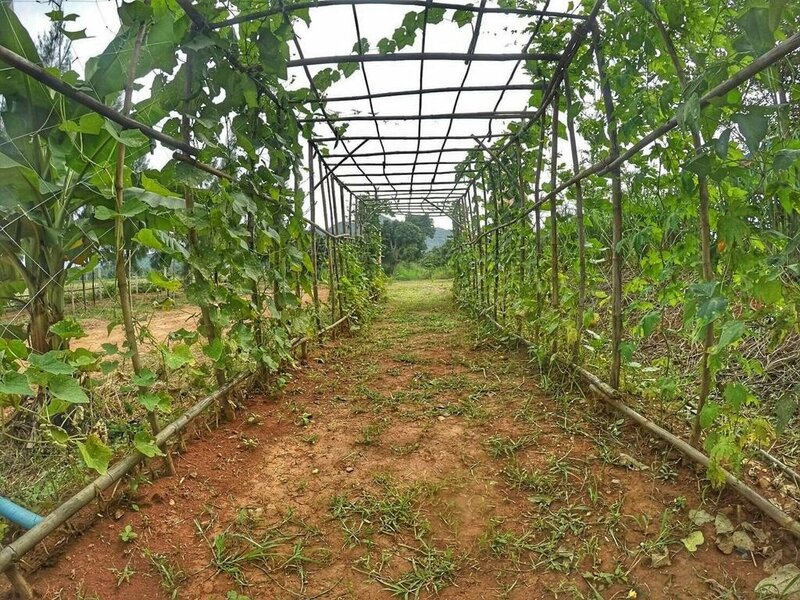 Guests are welcome to tour the farm, meet some of the animals, try out some of their exotic fruits, and learn a little about organic farming. 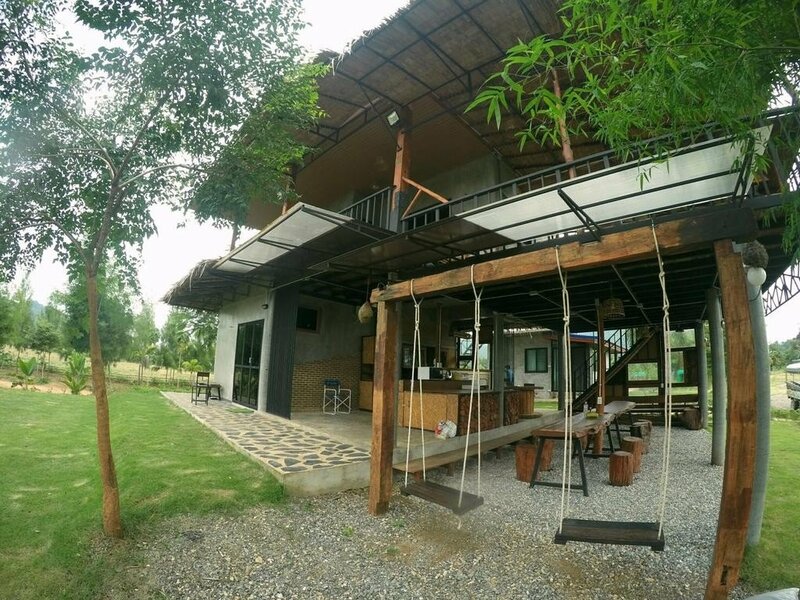 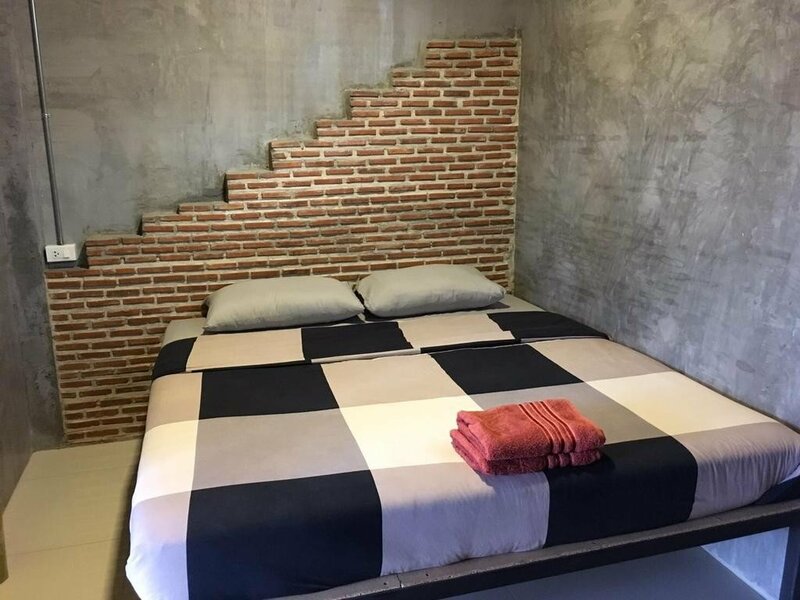 A little less than two hours drive north of Bangkok city centre the farm stay is, as mentioned above, close to the local transport hub of Pak Chong so getting there is quite easy by bus, with Bandai Ma Railway Station also being nearby. 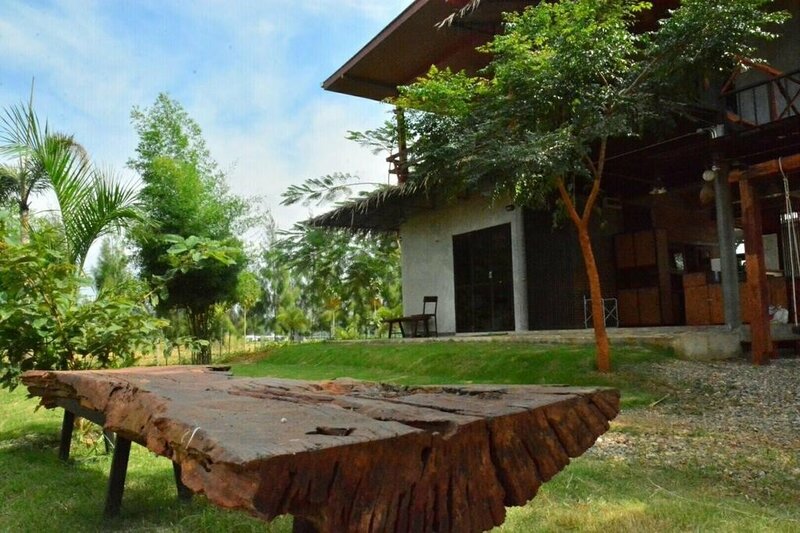 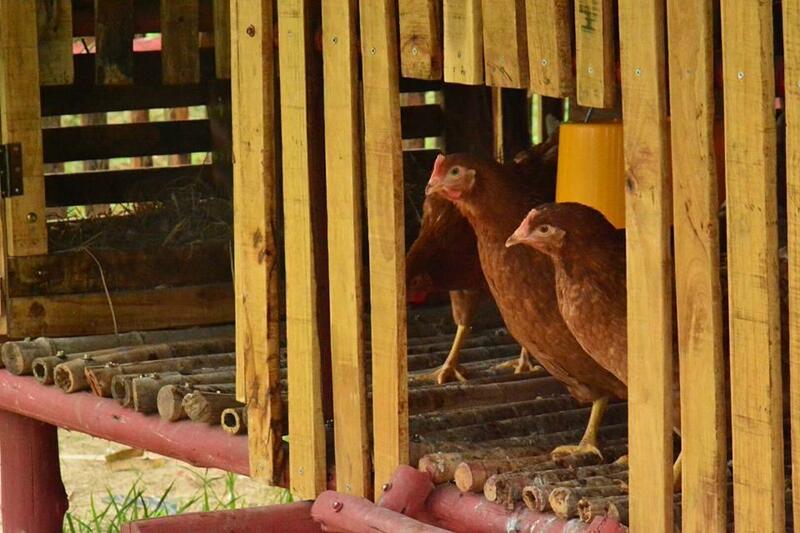 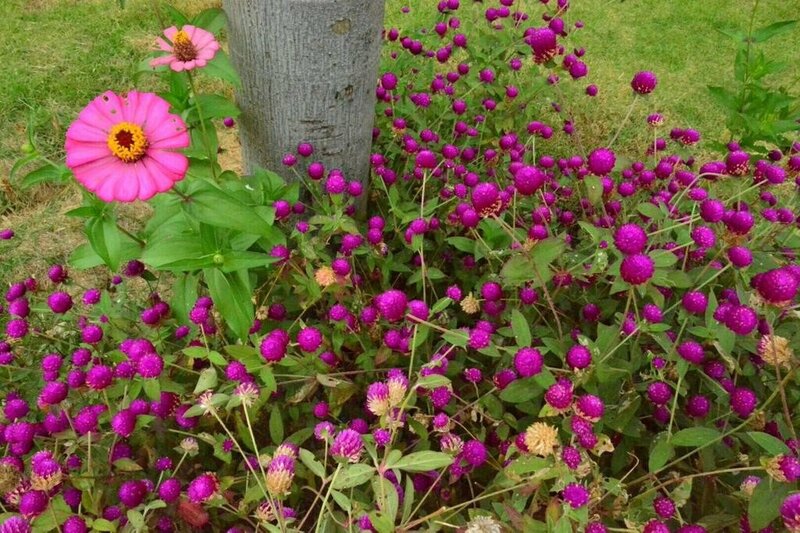 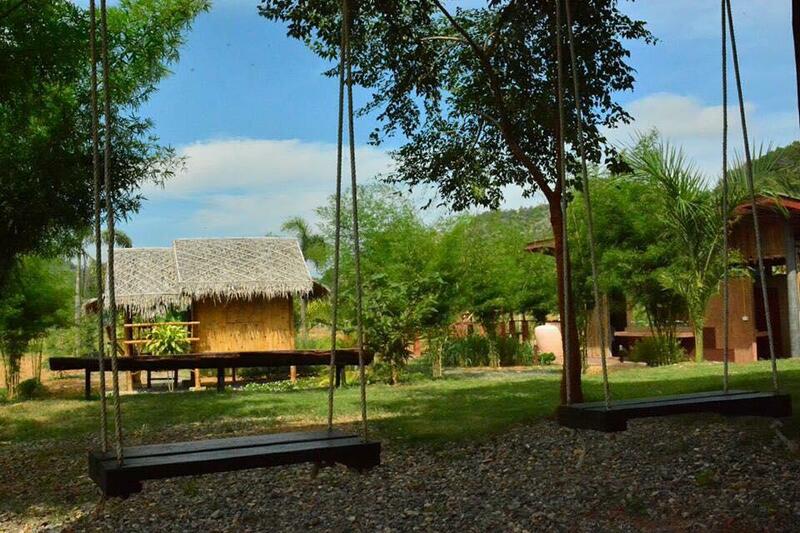 The immediate area around the farm is rural and peaceful and a definite antidote to the fast pace of Bangkok. 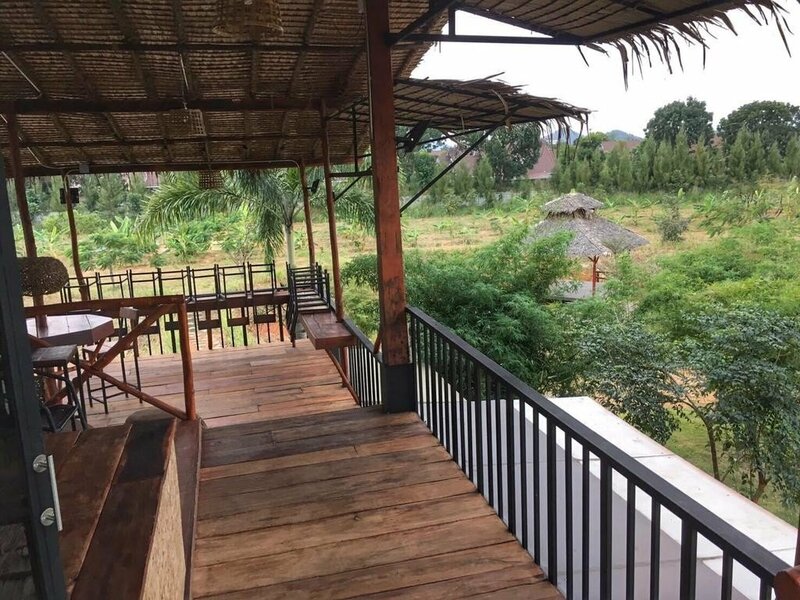 You’ll also find the climate more manageable, it is generally a few degrees cooler here than the city and the coastal regions. 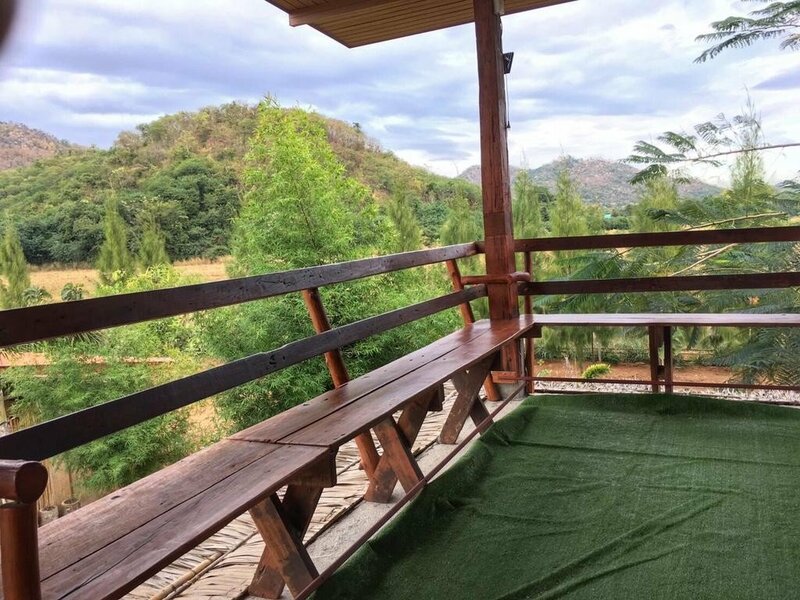 The main reason for visitors to be in this area is the magnificent Khao Yai National Park, whose northern entrance is just a few miles from the farm. 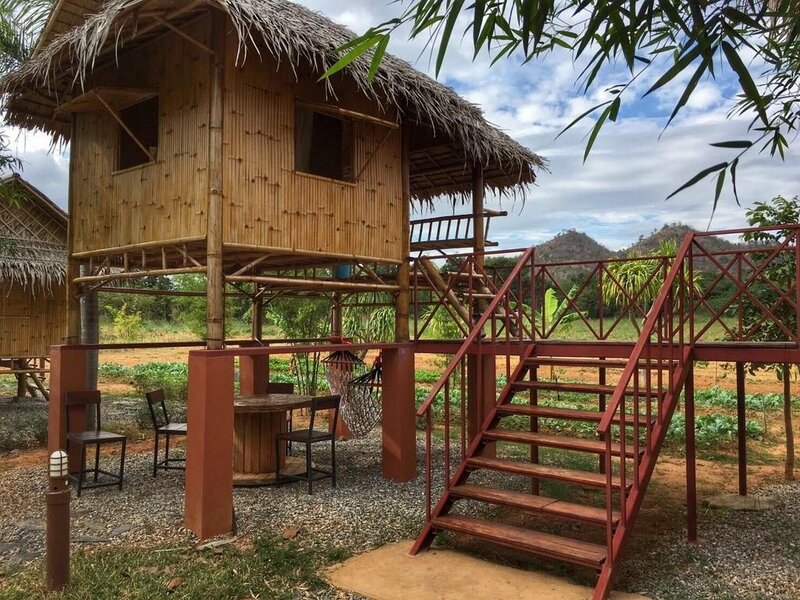 Khao Yai, along with the adjoining Dong Phayayen Forest is a UNESCO world heritage site of ancient jungle and mangrove swamps that is absolutely brimming with wildlife.